Beer Advocate score 90 points! Uncle Steve’s Irish Stout is Short’s version of the classic Irish Stout, complete with a dark color, soft head, and smooth full flavor typical of this lighter bodied beer. A simple grist formula provides a base of roasted malt flavors and a creamy drinkability everyone loves. Beer Advocate score 84 points. "Our Leipzig-Style Gose undergoes a spontaneous fermentation, similar to Belgian-style Gueuze/Lambic beers, and exhibits a complexity of acidic flavor and aroma contributed by wild yeast lactic fermentation. Lemon, lime and other citrus-like qualities are present in aroma and on the palate, which is balanced by the spicy character of added coriander and a mineral-mouthfeel from added sea salt." Beer Advocate score 87 points. Arrestingly smooth with a rap sheet of toasty biscuit and caramel malt flavors. Conway's Irish Ale pairs well with corned beef, stews, and a hard day's work. Beer Advocate score 86 points. Originally a small-batch release in the spring of 2013. Bloodline is brewed with blood orange peel and blood orange juice and hits the perfect balance between citrus sweetness and bitterness. Bloodline begins with huge grapefruit on the nose. Then, a delicate balance of citrus sweetness and bitterness. Try it with grilled light proteins, salads with fruity vinaigrettes, and fresh salsa. Beer Advocate score 94 points. The base starts as our Uncle John’s fresh apple cider which we ferment and blend with rich Michigan Blueberry Juice. This carbonated blush showcases the elegant flavors of ripe blueberries and finishes soft on your palate. Speak up now by sending us an email, and we'll hold any of these brews for you! We'll email you when they arrive, so you know when to come grab them. Please note that we will hold beers for one week after the date that you reserve them. 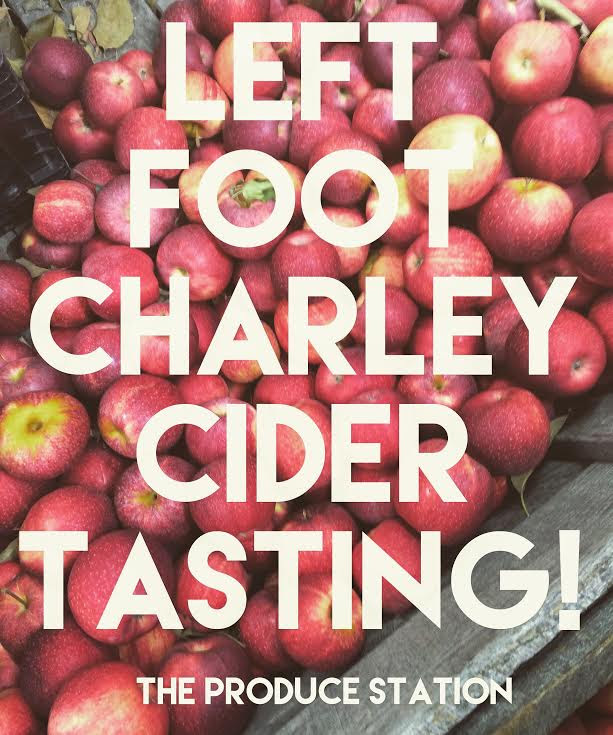 Join us for a Hard Cider tasting with Left Foot Charley! Melissa will be in the house on Saturday, February 20thfrom 1-3pm sampling delicious hard ciders, made in Traverse City by our friends at Left Foot Charley! We’ll taste their Henry’s Pippin, Cinnamon Girl, and Antrim Apple ciders! Join us to sip on some unique and fabulous cider while you learn a little about how it’s made! Whether you’re craving something warming & spicy or crisp & refreshing, let a Left Foot Charley cider quench your thirst! BONUS! Save $1 per bottle during the tasting! Chocolate Pomegranate Imperial Stout called Aphrodisiac (8.4%). This beer features rich chocolate notes with pomegranate backing it up. 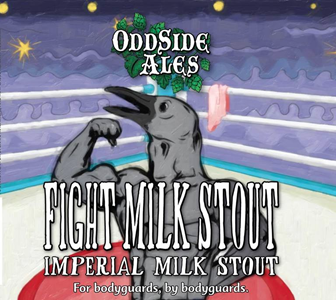 It is brewed with lactose to create a full rich body. Beer Advocate score not available. 8% alcohol. Imperial milk stout. That's all we know. This Dortmunder is as good as gold, maybe better. 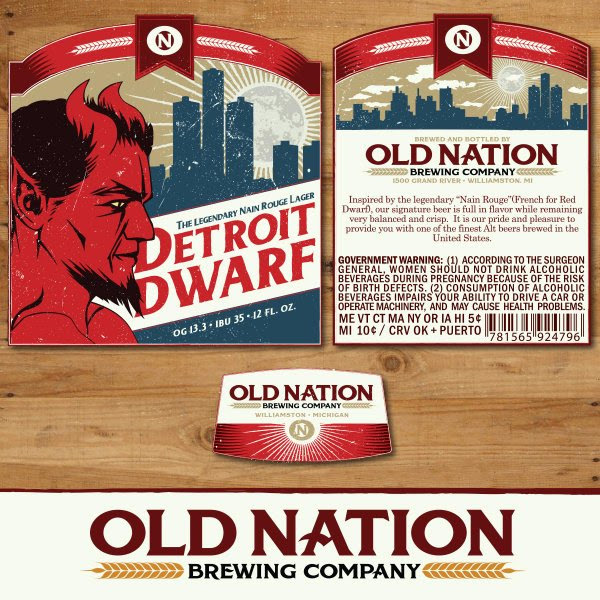 Pawn shops are a dime a dozen in the city of Detroit, but this lager sets its self apart from the craft masses. Beer Advocate score 85 points. 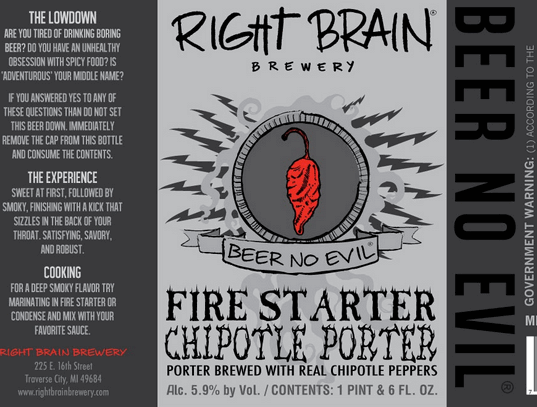 A deep bodied and roasty porter with strong smoky notes and a mild spicy finish. Flavor profile very similar to that of traditional Mexican Mole' sauces. Beer Advocate score 88 points. Beer Advocate score 81 points. 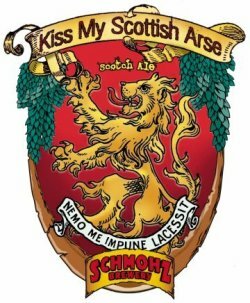 In the spirit of Chas' Great Uncle McGlean, this Great Ale will not only lift your kilt, but raise ye spirit to an attitude of mighty altitude. Presented with the best of malts, grains and the select hops, it will not be for the faint of pint raisers. Bring your bonnie lass and hold on! Fermented cold and slow for over four months to provide the old world taste of a set in its way beer. Very refreshing and definitely different. Love Knife is a brownish red Belgian Amber Ale that explodes with aromas of strawberry, banana, and nectarine. Malt sweetness is quite low, allowing for the fruit flavors to be apparent throughout the beer. One day while looking over popular Belgian beer styles, Tony noted that there were not a lot of Belgian Amber Ales. Therefore, he decided to create a recipe with a malt bill that loosely resembled a typical Amber Ale found in the states. 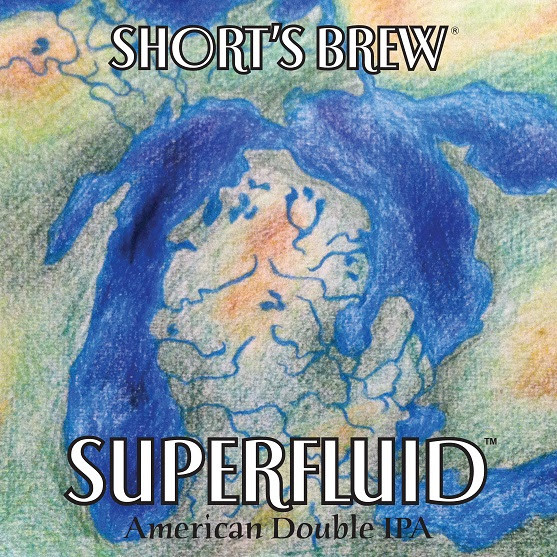 By adding Belgian yeast and American hop varieties, Tony created a uniquely new and different hybridized style. Double Chocolate Stout is an evolution of Rogue Chocolate Stout, which is flavored with imported Dutch bittersweet chocolate. The winner of three World Beer Championships Gold Medals. Pair with beef... and dessert. Perfect for your craft beer loving Valentine! Beer Advocate score 93 points. Beer Advocate score 90 points. Oatmeal and 20 pounds of fresh roasted coffee from the Ugly Mug Café contribute to a mildly chalky espresso character balanced by a rich, sweet creamy maltiness. Coffee finish dissolves into chocolate with a slight roasty bitterness.Brewed with 100% fair-trade coffee from the Ugly Mug Café and Roastery in Ypsilanti, MI. Pairs well with desserts, especially dark chocolate, raspberries, and cheesecake. Beer Advocate score 74 points. 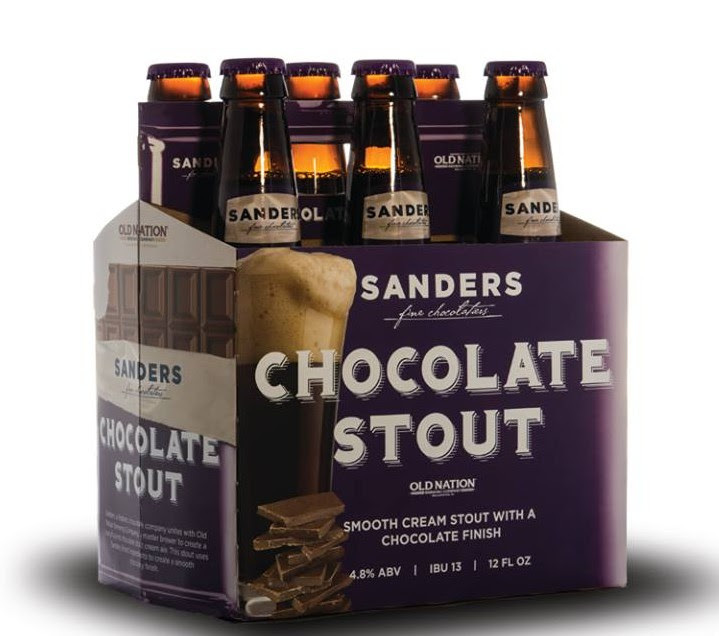 A smooth cream stout with a chocolate finish. Beer Advocate score 80 points. Beer Advocate score 99 points! The hop fairies have taken charge on this extra pale ale. 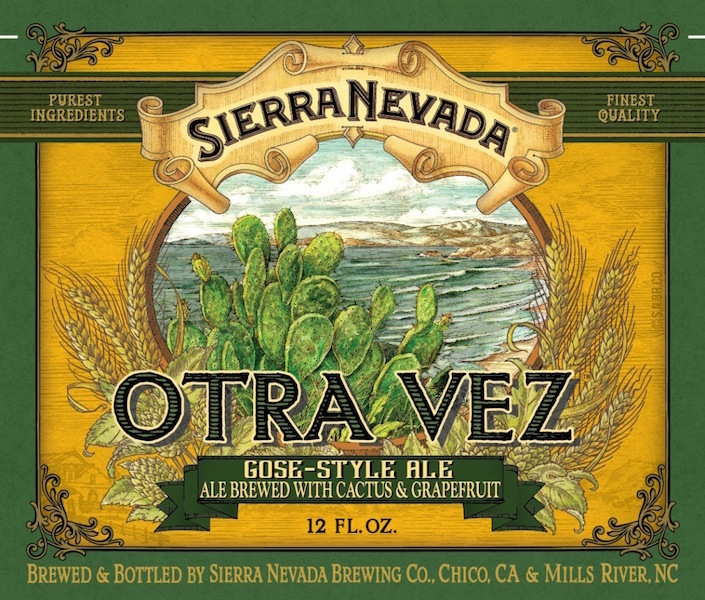 A well balanced ale with loads of flavorful hops. 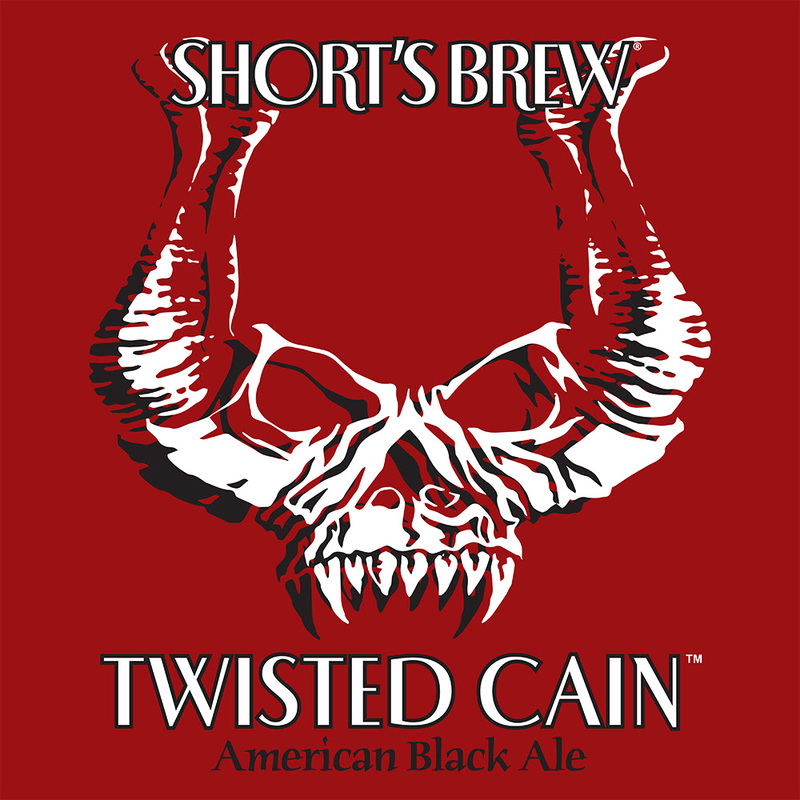 Twisted Cain is an American Black Ale that pours black in color with red hues passing through the edges of the glass, topped with a creamy off-white head. This medium bodied brew leads with a pleasant roasted aroma, before a sweet dark fruitiness, that ends in slightly bitter and dry finish. Beer Advocate score 89 points. Beer Advocate score 96 points! Beer Advocate score 92 points! Speak up now by sending us an email, and we'll hold any of these brews for you! We'll email you when they arrive, so you know when to come grab them. I passed two crows on a branch in a field, still and calm. They seemed natural and out of place, all at once. Two Crow Black Sugar Stout is like that; black as night with something hard to define in its’ nature. Dark Malts, noble hops and two kinds of house caramelized MI beet sugars combine to create a beautifully balanced high gravity stout. 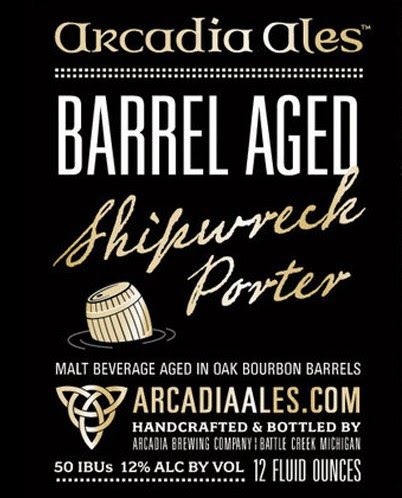 Strong stout with caramelized Michigan sugar. Not overly sweet or heavy for the ABV. Inspired by the legendary “Nain Rouge”(French for Red Dwarf), our signature beer is full in flavor while remaining very balanced and crisp. It is our pride and pleasure to provide you with one of the finest Alt beers brewed in the United States. Alt beer (N. German ale: Dusseldorf). Amber ale fermented at lager temp. 4 time GABF Medal winner. World Beer Cup Silver Medal. This hoppy, deep amber-hued beer was created to shine a light on rare, unexplored grains seldom used in the brewing world. In addition to barley, wheat, rye and triticale, we added malted millet and malted buckwheat to bring the total unique grain count to nine. 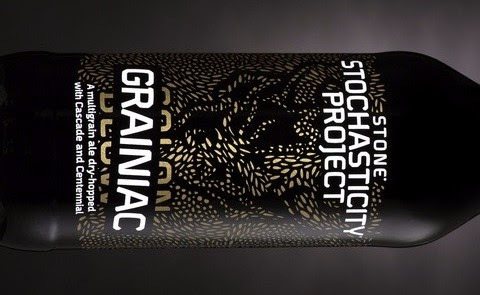 The earthy, nutty notes of granola found in this experimental multigrain malt bomb are complemented by the citrusy, piney flavors of four classic American hops. We dry-hopped the beer with Cascade and Centennial hops at the end, adding more citrus notes and rounding out the grain bill’s rich, bready character. 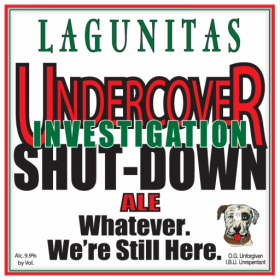 This beer had its share of controversy inside Stone.